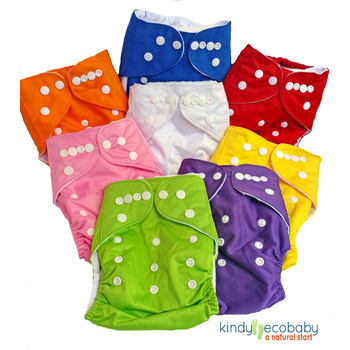 This Kindy EcoBaby's Modern Cloth Nappy Velour Shell is Hip-Snap Adjustable and includes a FOUR LAYER bamboo & microfibre insert. 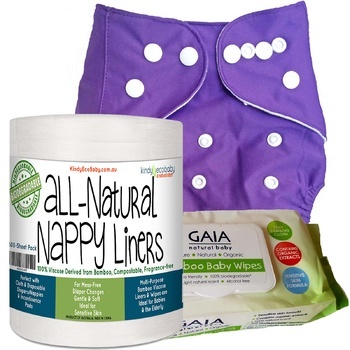 These are top quality cloth nappies, not to be compared to the cheapies you see on ebay! 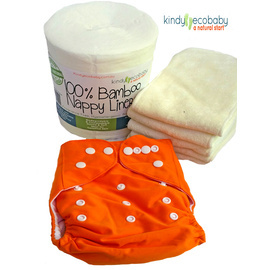 The nappy is Bamboo-inner lined with double hip-snap adjustments for ease of changing a wriggly baby and the reduce leaking. 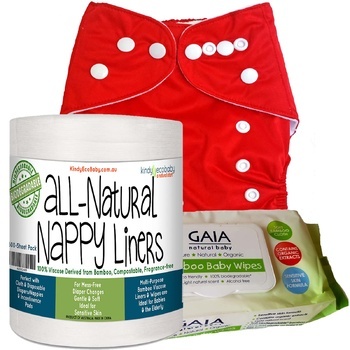 This nappy will fit baby from birth to potty. 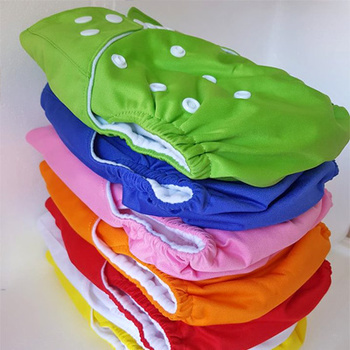 They are also perfectly designed to allow you to interchange your inserts to fit your baby's needs, such as using thicker bamboo charcoal booster inserts for night time, lovely vintage style hemp inserts or slim bamboo cream nappy inserts. 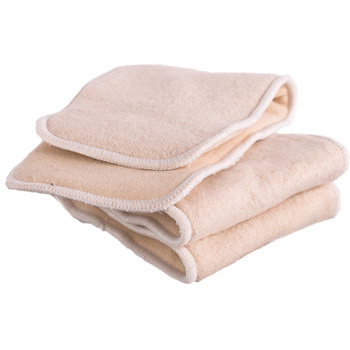 A soft, luxiourious Velour outer cover/shell.